So many women (and men!) are influenced by the stereotypical body type we are exposed to on social media and in the fashion industry, but a very small percentage of us fit that mould – hardly any of us. Therefore you could argue it is not relateable to the consumer, but it is how designers and directors want their garments or products to be promoted, although things are changing! On social media the #bodypositive movement is huge and is growing all the time, with models and major influencers such as @Felicityhayward, @kaisasparkle and many others championing the need for a wider diversity of model sizes in the modelling industry, it is very refreshing! 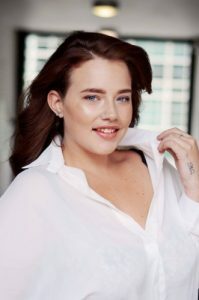 Models Direct are proud to represent plus size models, though they are not really plus size, they are normal and very beautiful and talented. The average female in the UK is a size 16, so a plus size model can vary from a size 12 to a size 24, simply depends on the the type of modelling they are being considered for. It’s not just women plus size models that are attracting the limelight, plus size male models are also in demand for all sorts of modelling work from clothing ranges to TV advertising roles. Plus size male models are required for magazines, catalogues and other modelling work so if you would like to try male modelling but felt you were not the perfect ‘male model’ size give us a call. 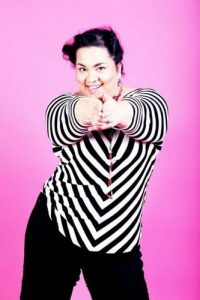 If you would you like more information about plus size modelling for men or women simply click here to find out how you can become a plus size model with Models Direct. This entry was posted in Commercial Models, Curve Models, female model, male model, modelling, modellingagency, Models, Models Direct and tagged Body Positive, Curve Models, modelling, Models Direct, plus size modelling, social media by The Models Direct Admin. Bookmark the permalink.